Gautam Clinic Pvt Ltd Is A Sexology Clinic In Laxmi Nagar, Delhi. The Clinic Is Visited By Sexologists Like Dr. Inderjeet Singh, Dr. Sudhanshu Pandey, And Dr. Chandrabhan Singh. After getting married I was hugely suffering from the problem of early discharge. Both me and my wife were not able to get extreme pleasure due to my issue. We both talked to lots of consultants but none of them were able to sort out the problem permanently. Then one of our close friend advised us to get in touch with professional doctors of Gautam clinic..Both me and my wife visited there and got useful tips to get rid of the problem permanently. I am extremely thankful to Gautam for make my life hassle free and romantic. I was suffering from sexual dysfunction problem and went through many doctors but with no success. 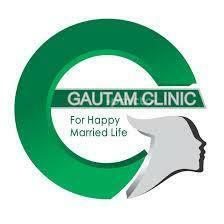 Finally, I found about Gautam Clinic clinic. I was hesitating at first but the staff there is so polite and humble. They made me feel comfortable and I discussed my problem with the doctor. The doctor listened to me and suggested a treatment for 3 months.